All events for Securing Prosperity in the Coastal Zone take place at the Science Museum of Virginia – Dewey Gottwald Center located at 1005 DMV Dr, Richmond, VA 23220. You may notice that the address for the Dewey Gottwald Center is different from that of the Science Museum of Virginia. The Dewey Gottwald Center is located in the same building as the Science Museum. The address for the Dewey Gottwald Center is the direct entrance for the event and will lead you to a large parking lot adjacent to the Center where you can park. You are welcome to enter the main entrance of the Science Museum and walk through the main hall to the event. Signs will be posted. 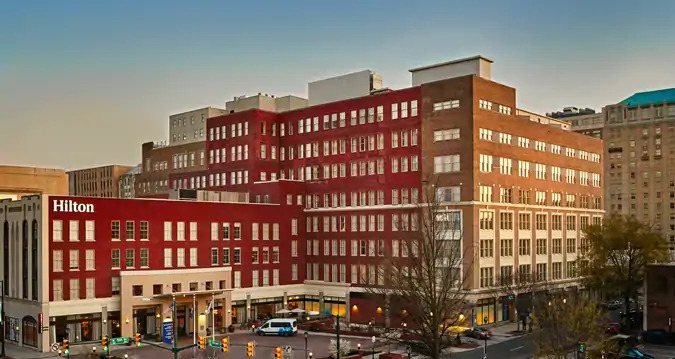 The Richmond Marriott Downtown is a 2.3 mile drive down Broad Street to the Science Museum. The Jefferson is a 1.8 mile drive down Broad Street to the Science Museum. VASEM not able to offer attendees a room block at the Jefferson Hotel. As a reference point for your planning, rooms at the Jefferson should cost around $275/ night depending on when you book. Speakers for the Summit are booked here courtesy of VASEM. The Hilton is about a 2.3 mile drive down Broad Street to the Science Museum. Rooms at the Hilton should cost around $170/ night.